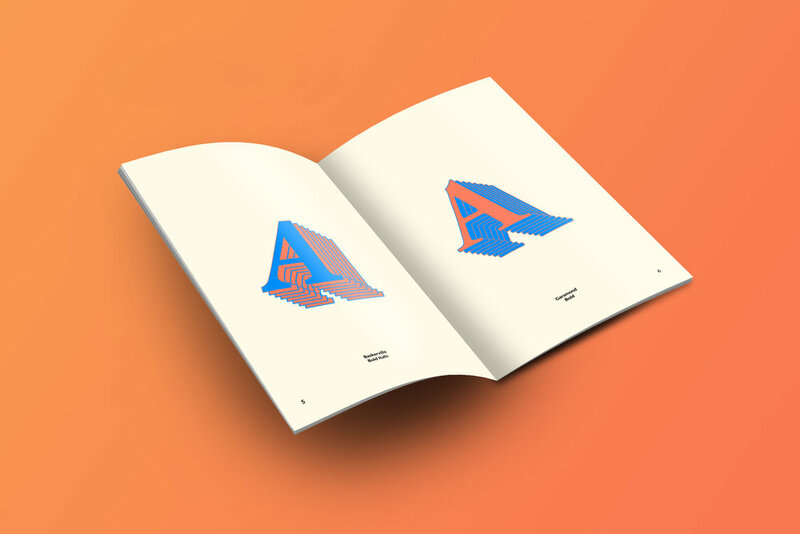 Typography research booklet that explores the history and significance of the letter “A”. YSDN Typography 2, 2018. With this project, I wanted to emphasize visuals, as for many, images are a much easier way to view and understand ideas. I dedicated the top halves of the first two pages of each section to images and then kept the bottom half for text. I find this to be much less overwhelming than to hale a page of text and then a page images. I dedicated the last two pages of each section to solely images. Initially, I explored the pages as one spread over two pages, though I realized that during printing and assembling stage, nothing would align perfectly. I then switched over to treating each page as its own, but also considered how the whole spread would look.